Police traffic investigators have identified a 61-year-old woman who died Thursday (May 19) from injuries she received in a motor vehicle/motorcycle crash at the intersection of Route 130 and Ainaloa Boulevard on Wednesday evening (May 18). The victim was identified as Linda McKee of Vancouver, Washington. Two structure fires along with a huge rain and lightning storm kept emergency crews busy on Saturday. Video of a lightning strike and fire. 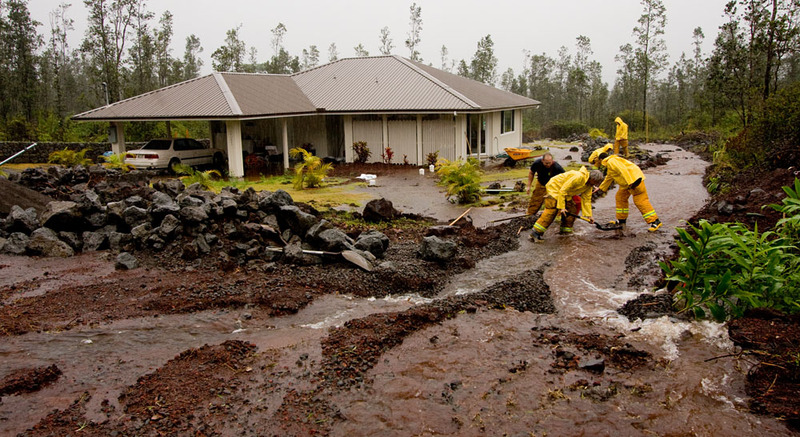 Firefighters protect a home from flood waters in Ainaloa Subdivision Saturday (Nov 14). 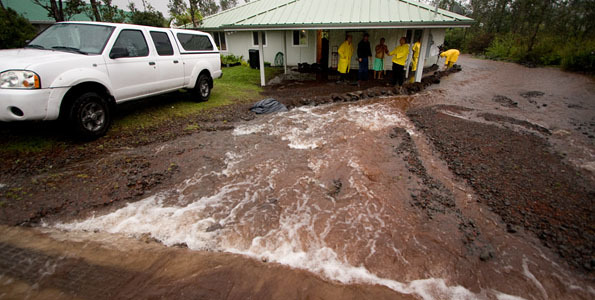 Firefighters responded to a structure fire on Ainaloa Drive near Pikake Drive and Lauhala Drive Wednesday afternoon. The blaze was brought under control and no injuries were reported.